Spyware Terminator’s enhanced Security Check identifies dangerous deficiencies and suggests effective solutions to deal with them. Download the new version of Spyware Terminator to determine if your data and privacy are protected. 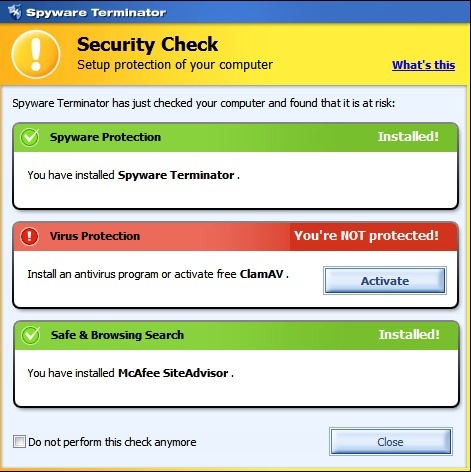 This version of Spyware Terminator also includes important bug fixes for Web Security Guard as well as full Mozilla Firefox 3 support.